A Nigerian defender has died, three minutes into a football match in Malaysia.30 yar old David Faramola Oniya died on Saturday after collapsing on the pitch during a friendly match between his Malaysian club T-Team and Kelantan. He was 30. 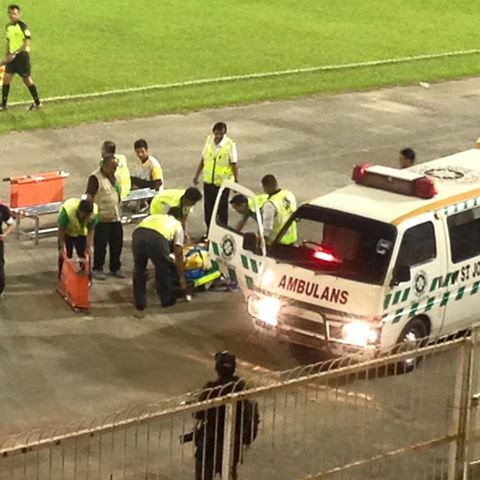 According to Local media ,he collapsed three minutes into the match in Kota Bharu and was taken to hospital.T-Team CEO Syahrizan Mohd Zain said Oniya did not receive medical treatment quick enough.